After much lobbying had been done for the city’s markets to be rehabilitated, the structures — which are currently in an appalling state — will finally undergo rehabilitation works soon. Contractors are presently filing bidding documents to carry out works on the Bourda, La Penitence, East Ruimveldt and Kitty Markets. Attempts to get a comment from Communities Minister Ronald Bulkhan proved futile, since calls to his mobile phone went answered, and Permanent Secretary of the Ministry of Communities, Emil Mc Garrell, has said he is unable to comment on the extent of rehabilitation works that have to be done. 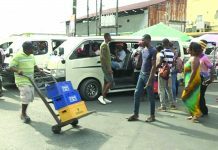 The Kitty Market Rehabilitation project commenced over two years ago, but was stalled several times owing to unavailability of funds and materials. As a result, City Hall has been forced to approach the Communities Ministry for assistance, since the first phase of the works is about 70 per cent completed for the upper flat and 45 per cent completed for the lower flat. 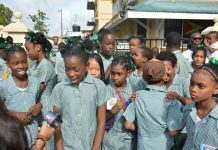 During a site visit to the Market, Communities Minister Ronald Bulkan pledged $25 million to complete the project. 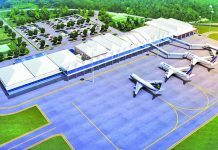 The Communities Ministry has said that phase one of the project is expected to cost in the vicinity of $25 million, and the scope of works include construction of 15 external stalls, the sanitary block and the administrative office, inclusive of a revenue collection section. Bourda Market vendors have meanwhile been appealing for the structure to be fixed, as it has been in a deplorable state over the years. Guyana Times understands that some $14 million have been set aside for works to be undertaken at the La Penitence Market. Last June a concerned citizen wrote this publication to complain of the unsanitary conditions at that market. 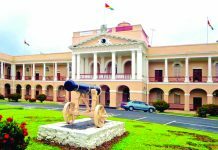 Anu Bihari complained that the largest, most vicious and audacious rodents and other pests in Guyana call the La Penitence Market home. She also said, “But witticism aside, the La Penitence Market — if you wish to call it a market — is the grimiest, darkest, and dankest bazaar in this hemisphere. The Mayor and Councillors of the City of Georgetown should be ashamed of themselves for subjecting stall holders and shoppers to the squalid conditions at that market while collecting substantial stall rents and property taxes from the citizens”. The vendors over at the East Ruimveldt Market have also cried out for rehabilitation works to commence there soon. They have complained of leaking roofs among other issues affecting them there, despite paying taxes to operate.